...to be lived to the fullest at every stage and in every season. when you plan and embrace it as a family. care really is, the Soulistic Way. We provide a wide variety of services for patients and their families. Start with learning about when and why hospice care can benefit you. We've put together an FAQ page addressing some of the most common questions people ask when considering hospice care. We cultivate partnerships with health professionals, including various facility partners, to provide our mutual patients the best care. We greatly appreciate support from our community! Whether volunteering your time or donating financially, you can make a difference. First we want to thank our Father God for giving us the privilege of finding such a wonderful organization when we really needed you. My family and I don't have enough words to thank all of you for the excellent service you always gave us at any time, day or night. All of you made his sickness and suffering so much easier. In his last moments he was happy and in peace with all the family that he always loved so much. Thank you again for all you did for him and all of us, God bless you always. Soulistic Hospice provided seamless support to us all. We live in a rural area but they willingly traveled to us to give care. They saved us. I am a social worker and received my early training in Hospice and to be on the receiving end of such tremendous care deeply touched me. Please pass along this note with our deepest gratitude for making my mom’s passing so peaceful. We can never thank you enough. Your services are wonderful and I could always tell how everyone did their job with so much love. I want to thank Julie and Lorena for their special care for my husband. On behalf of our family and my husband we want to thank Soulistic for being so wonderful and of so much help through this process. May God bless all of you! The Soulistic Hospice team was terrific. They cared about my Mom, took great care of her and always kept me informed! The entire staff—from start to finish—was amazing. So supportive, responsive, informative. Hospice services are a blessing to families. We experienced the very best care from Soulistic Hospice. Our team was accountable, responsible, and very respectful. The day my husband passed away he was handled with dignity and caring. The compassion and concern I received was wonderful! Experience: The professionals who make up the Soulistic Hospice team have extensive experience in their field of practice, and create a unified force of knowledge and expertise that helps each individual we serve to take control of his or her life and manage illness. Local: As a locally owned and operated hospice service, we are able to focus on the needs of our community and patients. As part of this effort, we provide bilingual hospice care professionals to serve our Spanish-speaking patients and their families. 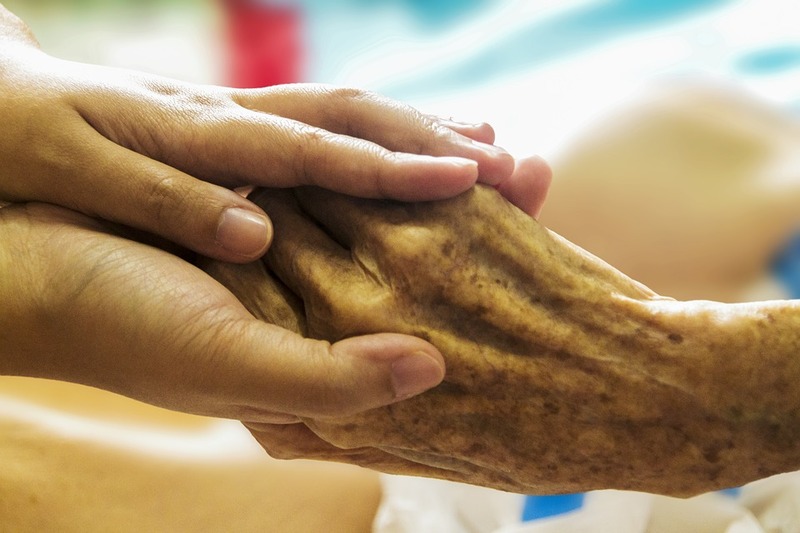 Nonprofit: As a nonprofit service, Soulistic Hospice strives to serve everyone regardless of their ability to pay. Your support helps us to care for those less fortunate. Faith Based: As a faith based hospice, we embody the heart and soul of what hospice was meant to be. Many of our team members are Interfaith Ministers who have committed their lives to providing loving service to all of humanity. We serve families in Tucson, Sahuarita, Green Valley, Arivaca, Amado, Tubac, Rio Rico, Nogales, Patagonia, Sonoita, and Elgin. Click here to view a map of the areas we serve. "To truly love another human being is to see his or her potential." Watch this video to learn more about the Soulistic Way.